UNC Deputy Political Leader David Lee says the Opposition is continuing its call for Foreign and Caricom Affairs Minister Dennis Moses to be removed and described him as a "convoluted and confused" individual and also called on National Security Minister Edmund Dillon to shed light on his civil lawsuit. On Thursday during the post-Cabinet media conference Prime Minister Dr Keith Rowley spoke about the incident where TT representative to the Organisation of American States (OAS) Ambassador Anthony Phillips-Spencer voted against Dominica's request for a waiver of OAS membership fees following the effects of Hurricane Maria. Rowley said Moses was not aware of Dominica's waiver and announced he was appointing Ambassador Christopher Thomas to review the process used by Phillip-Spencer. Following the controversial vote the Opposition had called for Moses to be removed and on Thursday during a telephone interview Lee said the Opposition is still calling for his immediate removal and dismissal. "We again call on the removal of Moses, a convoluted and confused individual. As minister of foreign affairs you have to be concise and clear in expressing issues of international affairs." Lee also commented on National Security Minister Edmund Dillon, who the Opposition had previously called to step down due to a civil suit where Dillon was accused of defrauding 88-year-old Neville Piper of a Manhattan apartment and US$50,000. The case in the New York Supreme Court ended on Wednesday with the judge ordering that the proceedings be sealed which effectively bars the media or anyone from reporting details about what happened. According to attorneys representing Dillon and US attorney Ernest Wilson, no finding of wrongdoing was made by the judge against Dillon. This was also contained in a media release issued yesterday by the Ministry of National Security. 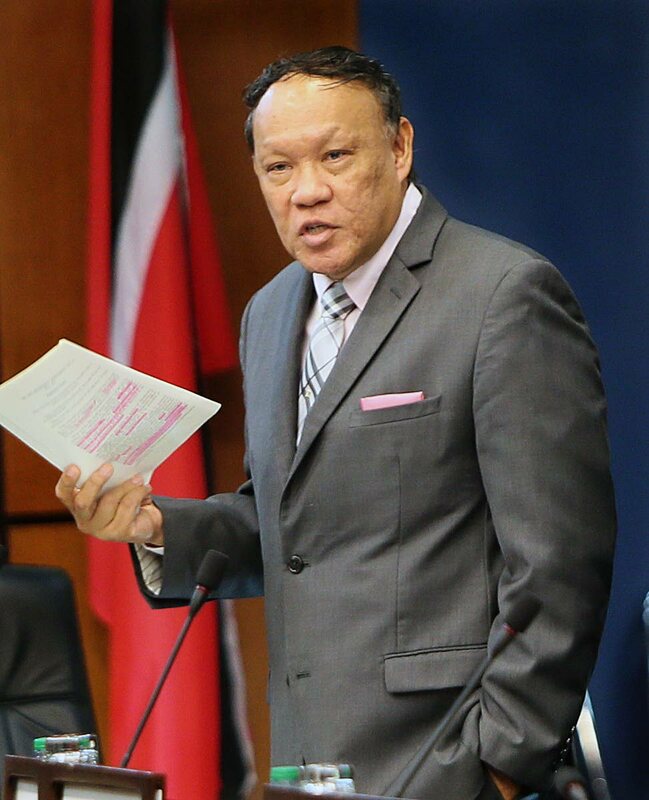 Lee recalled the Opposition had asked for Dillon to step down pending the decision of the court. He said while the court had made a decision and the matter had ended the decision was sealed and shrouded in secrecy. "We are asking for Dillon to shed some light on the real issue and why he wanted it to be kept in secret. We feel strongly for transparency for the public and country of Trinidad and Tobago he should let the public know he was an innocent individual. We have to ask 'why the secrecy about the decision and what was the real issue." Reply to "Lee: Remove "failure" Moses; Dillon must shed light"